Ghavan or Pan-pole is the one of the popular konkani style breakfast. This dosa is also very famous in south India. 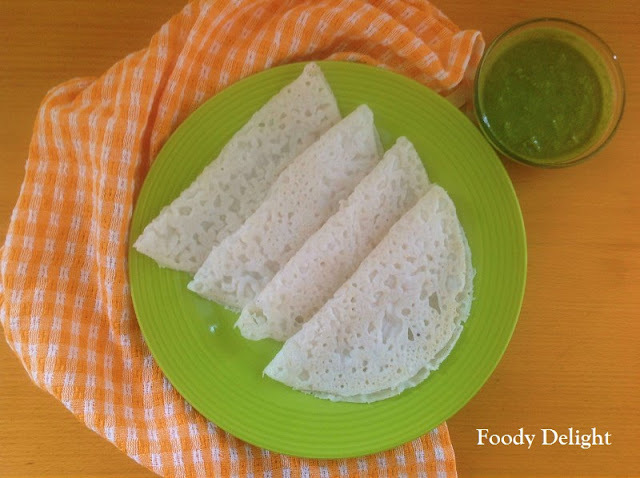 they call them neer dosa means watery dosa. 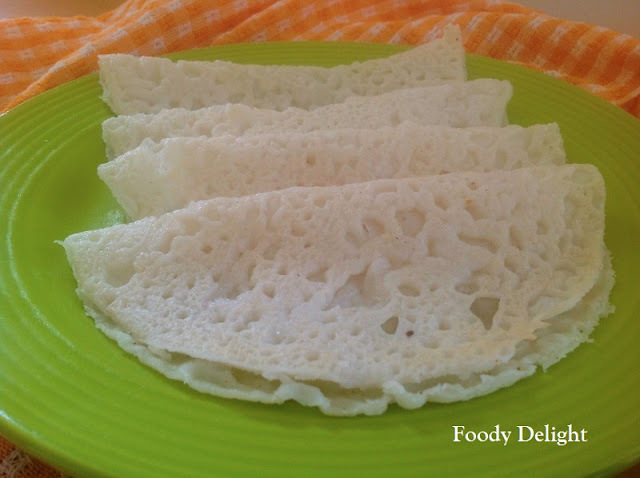 It is type of dosa where in fresh coconut is added to make dosa soft. 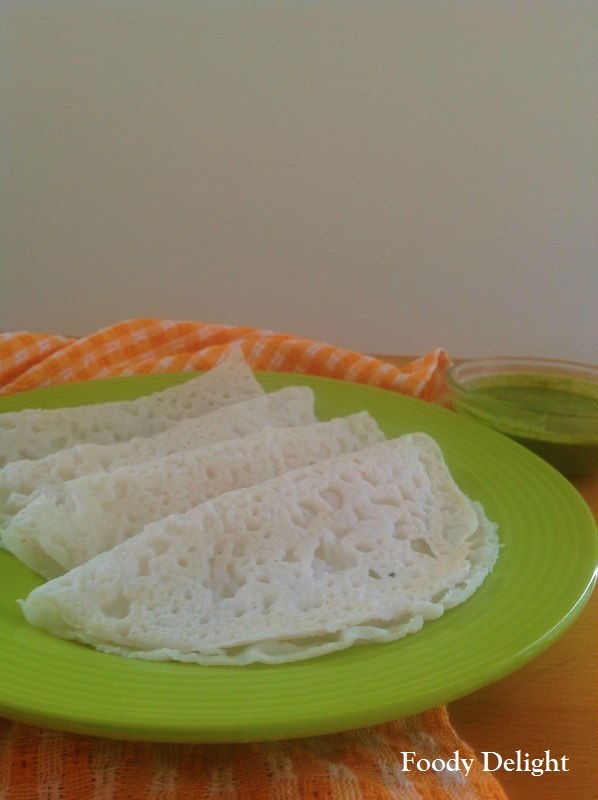 When you prepare these dosa without adding coconut into it, the dosa texture are bit hard. So coconut is the key ingredients to make dosa soft. Traditionally these dosa are served with molasses. But it is also served with spicy chutney or spicy mixed vegetable gravy. Wash and soak rice in water for about 6 to 7 hours. Combine soaked rice and coconut into grinder and grind it into a fine paste and add the remaining water to it , so that it becomes very thin and smooth liquid batter. Heat a non stick griddle and apply oil in it. Then splash the batter on the griddle into round shape. This may be difficult for beginner. But do not worry " Practice makes the man perfect". Drizzle oil around the edges and let it cook for a few minutes till it starts getting separated from the griddle and the surface becomes dry. Take the dosa on a serving plate with the same side down as it was on the griddle, so that it won’t stick as it is hot. Let it cool and then fold it in a half. You can also serve it hot with chutney or molasses. It taste yum..
New to me,looks so yummy,thanks for sharing.